Centrify redefines security from a legacy static perimeter-based approach to protecting millions of scattered connections in a boundaryless hybrid enterprise. As the only industry recognized leader in both Privileged Identity Management and Identity-as-a-Service, Centrify provides a single platform to secure each user’s access to apps and infrastructure through the power of identity services. This is Next Dimension Security in the Age of Access. Centrify is enabling over 5,000 customers, including over half the Fortune 50, to defend their organizations. Founded in 2004 by Tom Kemp, Adam Au and Paul Moore, Centrify is headquartered in Santa Clara, California, with additional development and regional offices in Seattle, Hong Kong, Japan, London, Munich, Melbourne and Sao Paulo. Centrify is a privately held company backed by top-tier venture capital firms Mayfield, Accel Partners, INVESCO Private Capital, Sigma Partners and Index Ventures. Our partners include Microsoft, Samsung, Apple, Red Hat, Canonical and others. Intelligence — this includes logging events and providing reporting that can answer questions such as “who accessed what, and when? Centrify provides an IDaaS solution that addresses all these functions. Considered the innovation leader in leveraging Active Directory or LDAP, Centrify integrates the Centrify Cloud with Active Directory or LDAP without poking extra holes in the firewall or adding devices in the DMZ. 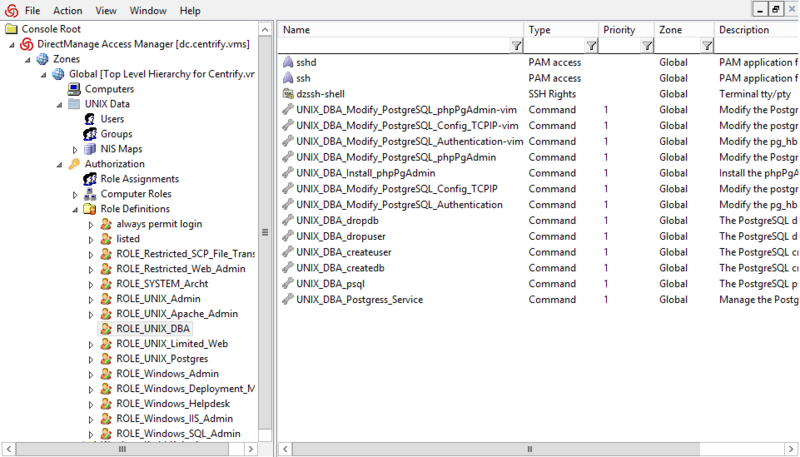 Unlike other solutions, Centrify does not add the security risk of duplicating Active Directory or LDAP into the cloud, and thus maintains an organization’s identity inside its on-premises directory service (Active Directory or LDAP) and under its own control. 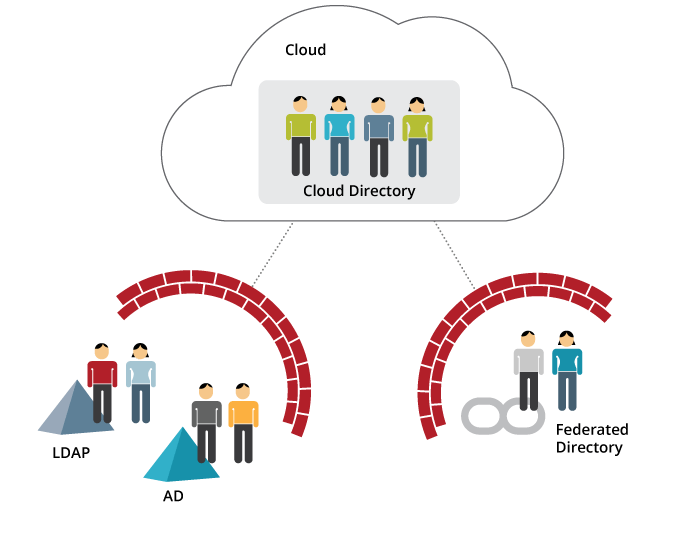 The Centrify Cloud’s live connection to Active Directory or LDAP, with automatic load balancing and failover, ensures that Active Directory and LDAP data is highly available and kept safe and in corporate control. The Centrify IDaaS solution can also support cloud-based directories, such as the Google Directory or the Centrify Cloud Directory. By supporting both on-premises and cloud-based directories, companies get the maximum flexibility to manage identities that best meet their security and productivity requirements. Get started today with Centrify Identity Service. Centrify IDaaS in tandem with the leading CASB Vendors enables IT with the ability to discover cloud activities, detect anomalies, enforce policies, and prevent data loss by controlling access to apps in their environment. Given the ease to acquire and deploy sanctioned and unsanctioned cloud applications to address critical business needs, it is paramount that IT has the ability to provide secure access and control of cloud apps by enforcing granular policies while preventing data loss. Least-privilege access gives you strong controls over your users’ privilege and reduces your risk from a range of threats. 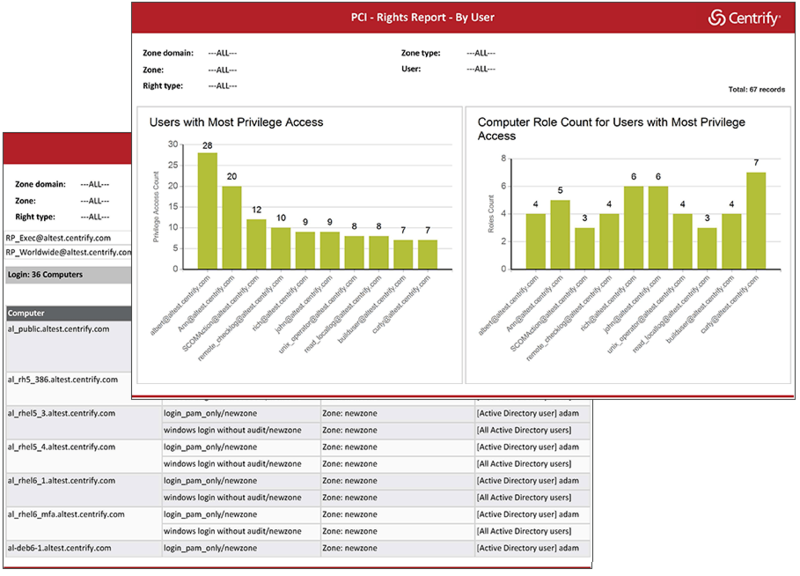 Centrify’s patented Zones technology provides highly granular, role-based access controls that simplify the implementation of a least-privilege-access model across more than 450 Windows, Linux and UNIX platforms. Minimize security risk by enabling administrators to systematically request a new role to obtain the rights they need to perform tasks. Access Request for Privileged Roles facilitates an organization’s transition from granting long-lived access permissions and roles to a flexible, just-in-time model to accommodate fluctuating business needs. Secure your Windows, Linux and UNIX systems by controlling exactly who can access what and when. Unlike de-centralized single-purpose tools like sudo, Centrify Server Suite lets you configure dynamic privileges so that users can only elevate privilege at specific times, for a length of time and on certain servers. You can also isolate servers based on time and trust relationships to further protect sensitive data. 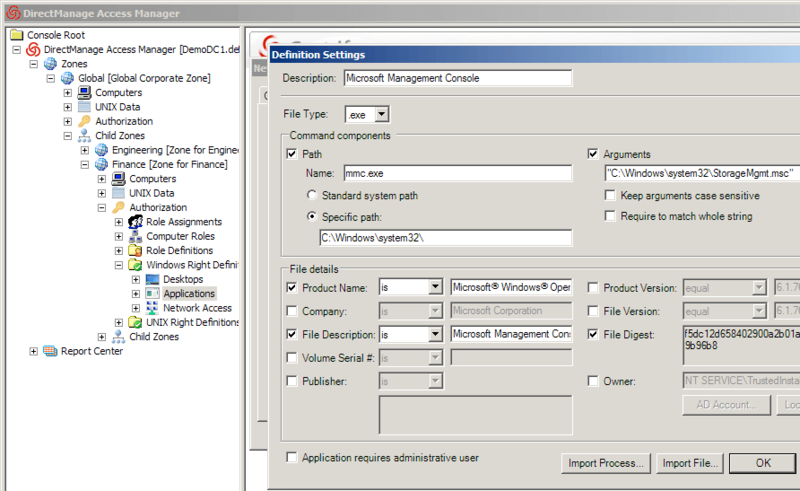 Centrify provides a powerful set of tools to simplify adoption and management of a least-privilege access model. Server Suite includes tools to assess identity-related risk, assign pre-defined roles and rights, import existing sudo files, automate the creation of new roles and rights, create reports and meet audit requirements. Quickly generate or schedule comprehensive, attestation reports to prove access control compliance with government regulations and industry mandates. Provide auditors with reports that document individual user access, administrative privilege and activity of who did what, where and when. Associate privileged activity with specific individuals to establish accountability.